In this example, we will detect text using an Android app using Tesseract for Android Studio. We can easily do OCR in an android app using Tesseract library. Tesseract for Android can be used as a dependency and you can learn how to setup Tesseract in Android Studio in this tutorial. 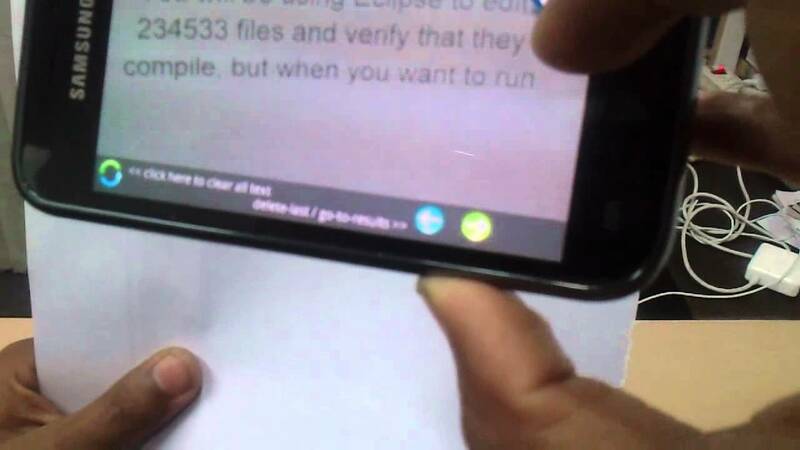 In this example we will continue from previous part where we detected texted in an android app using openCV. Now we will recognize text, i.e perform OCR in Android app using Tesseract. Using Tesseract for text detection in Android is pretty simple, here's how you do it. Initialize the TessBaseAPI with the path to traineddata file and proper page segmentation mode. Just pass the image from which you want to detect text as bitmap to the tessBaseAPI variable. Finally call the getUTF8Text method on the variable, this returns a String value. How to use Tesseract with Android Studio will be properly explained in a post soon. This post just describes how to detect text from image using Tesseract. We also need to add TessOCR mTessOCR and initialize it. Read the NOTE below. Now we also need to define mTessOCR variable which is used to initialize TessBaseAPI. We have created a java class for that. Check out how to use tesseract with Android here - Creating android OCR app with Tesseract. Feel free to drop questions below. Happy Coding!